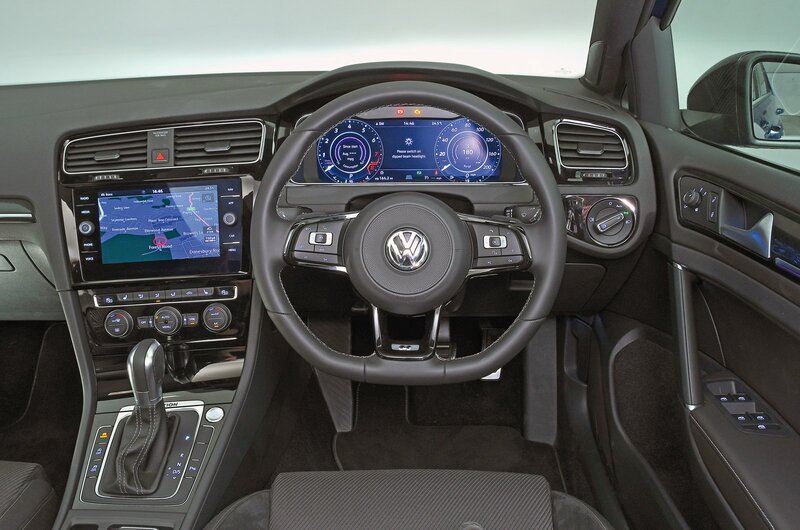 Volkswagen Golf R Interior, Sat Nav, Dashboard | What Car? 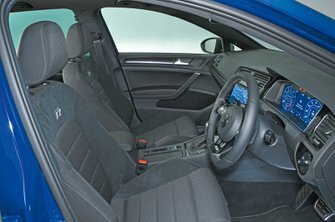 Because the R variant is no different in dimension or design to any other Golf, there are lots of positives about its interior. There’s plenty of manual height and reach adjustment in the steering wheel and the seats can be adjusted so that even the tallest driver can sit comfortably. Lumbar adjustment is standard for the driver, the pedals line up neatly with the driver’s seat and the dashboard is extremely user-friendly. However, because the seats are similar to the pews you’d find in a regular family hatch, they aren’t ideal for regular hard driving. You're held in place better through corners in a Honda Civic Type R or Renault Mégane RS, for example. The Golf’s boxy design helps with visibility. The large, tall windows mean excellent visiblity out of the front and the back, while a good view out of the side means you can see what’s going on at roundabouts and T-junctions. 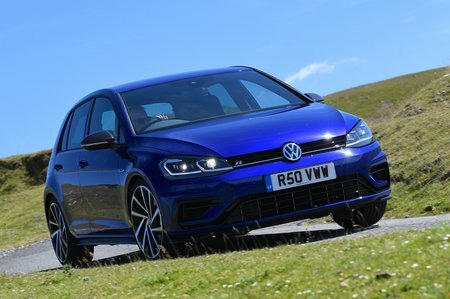 All Golf Rs get front and rear parking sensors as standard (with a rear-view camera an inexpensive option), so you'll have no problems slotting the car into tight parking spaces in town, while the standard LED headlights light up the road brilliantly at night. An 8.0in high-definition, glass-fronted colour touchscreen is standard. Either side of it are touch-sensitive shortcut buttons (so you can flit between the main functions) and two knobs: one for volume control and the other for scrolling through lists or zooming in and out of maps on the sat-nav. You can upgrade to a 9.2in screen but it's not worth the extra. Either way, the menus are easy to figure out, so you won't need to resort to the handbook to connect your phone or create radio station presets. You can also see the sat-nav maps on the excellent 12.3in digital instrument binnacle. This standard feature replaces regular instrument dials and, as well as maps, displays lots of useful information right in front of your eyes.